The following links are provided to assist with public outreach. The handouts are not overly graphic. Our suggestion is that you print the following documents and include in a folder, however each document can be used as a stand alone. New! Wild Horse Education 6 point Challenge! Wild Vs. Feral, why the debate? A National Shame! No humane treatment policy! Postcards that can be printed and cut to add to packet. You will need to run the cards through, flip paper and reprint to get a two sided copy. It is recommended that you use card stock. Postcards for the “Remember In November” campaign. Remind legislators that you VOTE! 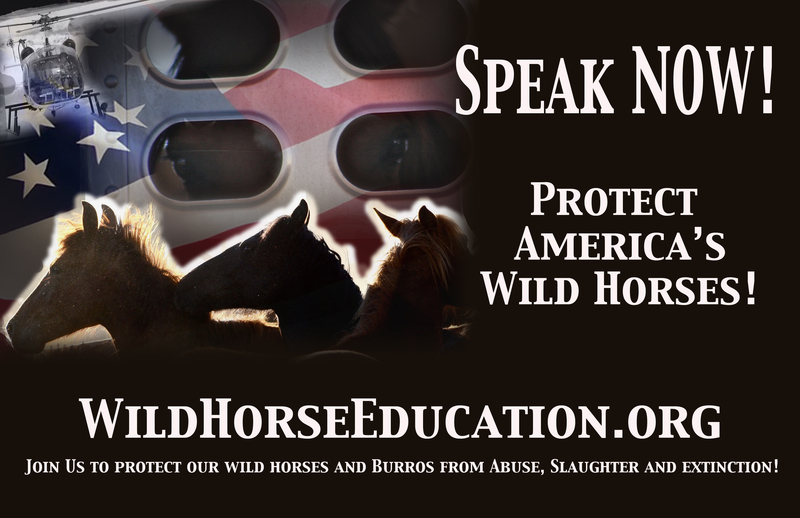 Support the SAFE Act and protect all horses, wild and domestic, from slaughter! Items that we can not offer free: T-shirts, bumper stickers, lapel stickers and even a mylar balloon to fill out any rally table! More at CafePress. We hope to offer a lower cost solution very soon!